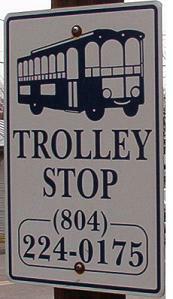 Please note that the Trolley will not run its route during times when a Parade is taking place, such as the Potomac River Festival grand feature parade. 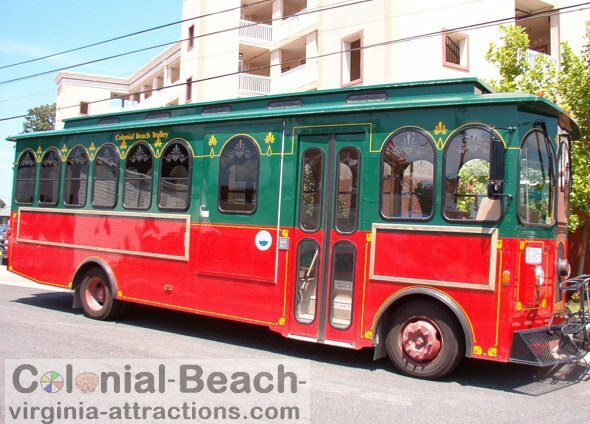 The Colonial Beach Trolley runs from late May through early September and makes about 20 stops along it's route. It's so much fun to ride! 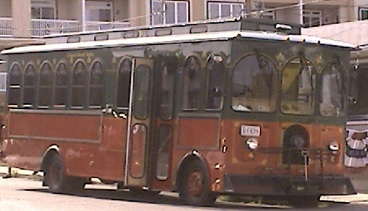 What a great way to get around town for just a little bit of money. There's plenty of space for all your gear, too. Shopping bags, kids, whatever you've got with you. 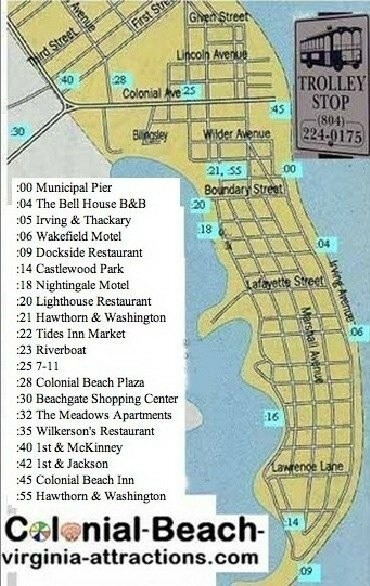 Here's a list of all the stops with the time (after the hour) that it stops at that location.